Häfele's decorative hardware displays afford customers an assortment of decorative enhancements and provide a custom touch to match their individuality. Häfele has a Decorative Display Program that will add value to your selling of Häfele products. 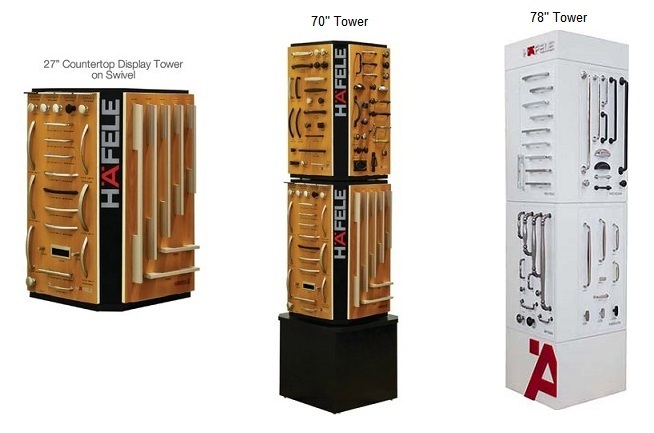 We can supply Decorative Display Boards as well as free standing towers in order to promote Häfele products. Click HERE to review our display boards.